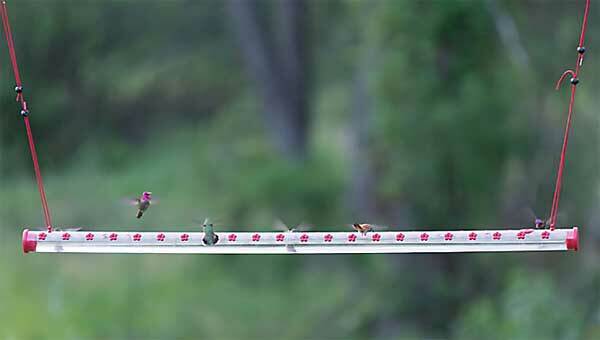 The Hummerbar Hummingbird Feeder presents a whole new experience in bird feeding! 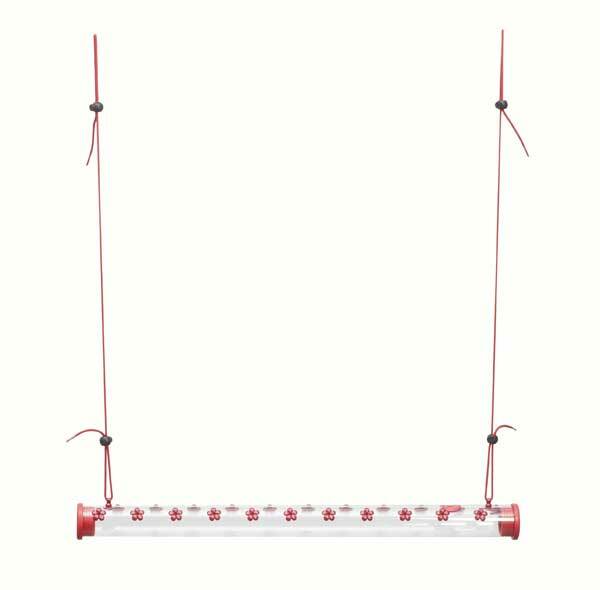 The feeder is 2 feet long and boasts 22 feeding ports. 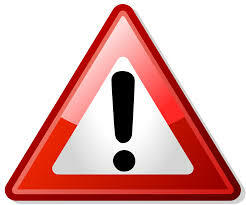 The Hummerbar bracket seen below is highly recommended for level mounting and to prevent leakage in the wind. 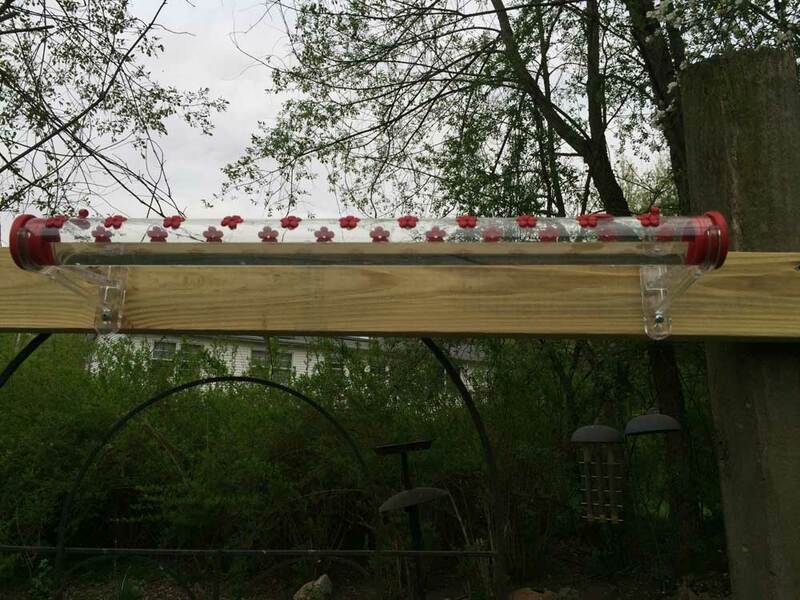 When you have a busy bird feeder, you want to make it as easy to view as possible! 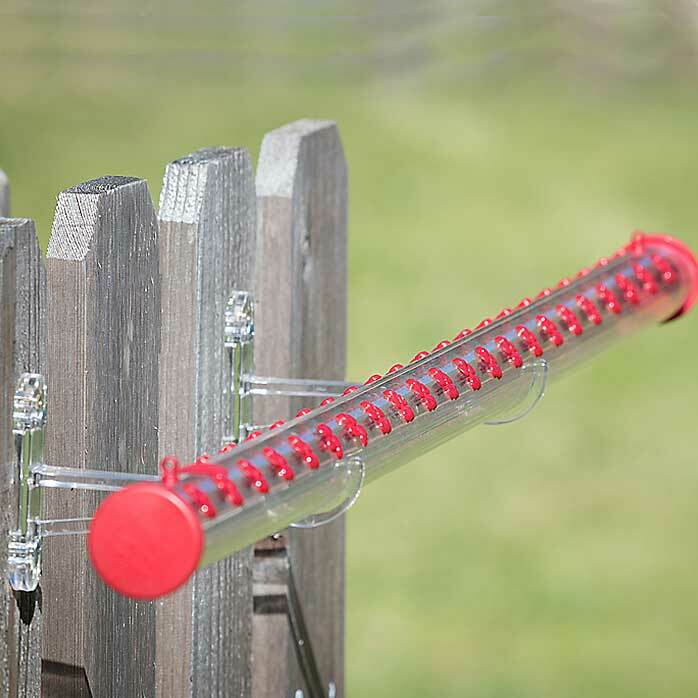 With the Perky-Pet® Bird Feeder mounting brackets, you can do just that! 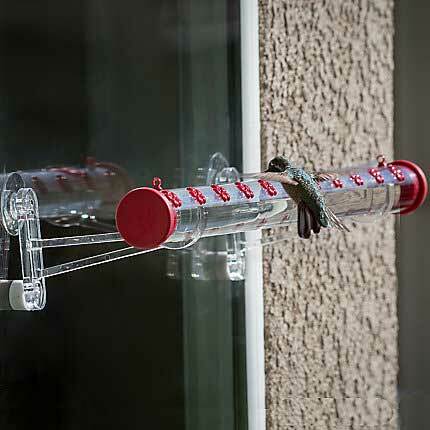 This convenient bracket comes with everything you need to hang your Hummerbar® hummingbird feeder on decks and windows. 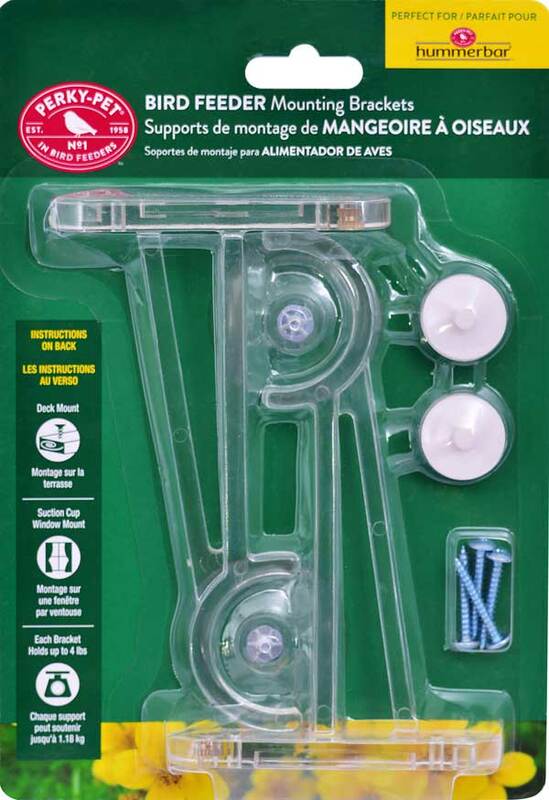 Use the included suction cups to attach your feeder to any window, so that you can view the bird feeding action from the best seat in your house. 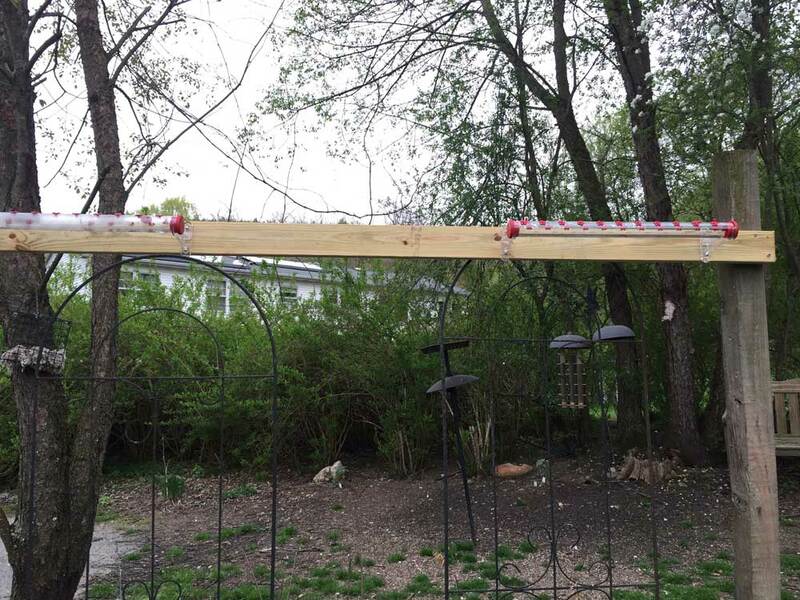 You can also attach the included brackets to mount your hummingbird feeder on a deck railing, shed, wooden post, or other surface. This mounting set is perfect when you have limited space, or simply want more hanging options for your favorite hummingbird feeder. Now you can get the most out of your feeder and enjoy the sights and sounds of your favorite backyard birds from anywhere around your property.